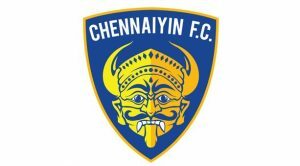 Spanish defender Inigo Calderon leaves Chennaiyin FC mid-season! Home / Indian Football / Indian Super League / Spanish defender Inigo Calderon leaves Chennaiyin FC mid-season! Spanish defender Inigo Calderon has left defending ISL champions Chennaiyin FC after spending a year and a half with the team. The announcement was made through a video of Inigo Calderon posted on Chennaiyin FC’s social media handles, where the Spaniard revealed that he left the club because of ‘personal reasons’. The Spaniard featured in 20 matches during ISL-4, notching up some impressive three goals, 50 successful tackles, 25 interceptions and 100 clearances. However, it was his experience and leadership skills on and off the pitch which proved to be his biggest strength. The Spaniard was also awarded the Fittest Player of the League for his commanding displays throughout the season. Despite Chennaiyin FC’s poor run during the 2018-19 campaign, Calderon made 12 appearances for the team and even scored once. Whether or not Chennaiyin FC will opt to rope in a replacement for the veteran defender before the January transfer window shuts remains to be seen. You may have been here just a year and a half, but the moments you’ve allowed us to have, will remain forever. Previous India Women’s team completes double over Indonesia with a 2-0 win! Next VIDEO – Prudent Media: Churchill Brothers & Real Kashmir FC both aim for win!